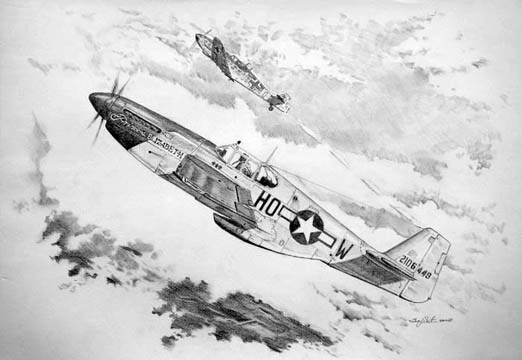 In an epic battle on January 1, 1945, Captain William T. Whisner flying his assigned P-51D downs an Me-109 after a head-on pass despite having been hit in the oil tank and wings. Whisner was already an ace with 11.5 victories notched up when he began his take-off roll on 1 January 1945. His biggest day so far had been on 21 November 1944 when he destroyed five Focke Wulfs and probably destroyed two others in twenty minutes time during a raid on the synthetic oil refineries at Merseburg, Germany. For that feat he earned a Distinguished Service Cross, the USA's second highest award. He scored a double a few days later but without a doubt his most exciting sortie of the war was just about to begin as his air strip was just then coming under attack from about 65 FW 190s and Me109s during the Luftawffe's last large scale offensive operation of the war. I was leading Red Flight. As we were taxiing out to the strip I saw some air activity east of the airfield. The squadron consisting of three four-ship flights, was taking off singly. As I started down the strip, Colonel Meyer called the Controller and inquired about bandits in the vic. As I pulled my wheels up, the Controller reported that there were bandits east of the field. We didn't take time to form up, but set course, wide-open, straight for the bandits. There were a few P-47s mixing it up with the bandits as I arrived. I ran into about thirty 190s at 1,500 feet. There were many 109s above them. I picked out a 190 and pressed the trigger. Nothing happened. I reached down and turned on my gun switch and gave him a couple of good bursts. As I watched him hit the ground and explode, I felt myself being hit. I broke sharply to the right, and up. A 190 was about 50 yards behind me, firing away. As I was turning with him, another 51 attacked him and he broke off his attack on me. I then saw that I had several 20 mm holes in each wing, and another hit in my oil tank. My left aileron control was also out, I was losing oil, but my pressure and temperature were steady. Being over friendly territory I could see no reason for landing immediately so turned towards a big dogfight and shortly had another 190 in my sights. After hitting him several times, he attempted to bale out, but I gave him a burst as he raised up, and he went in with his plane, which exploded and burned. There were several 109s in the vic so I engaged one of them. We fought for five or ten minutes, and I finally managed to get behind him. I hit him good and the pilot baled out at 200 feet. I clobbered him as he baled out and he tumbled into the ground. At this time I saw 15 or 20 fires from crashed planes. Bandits were reported strafing the field, so I headed for the strip. I saw a 109 strafe the NE corner of the strip. I started after him and he turned into me. We made two head-on passes, and on the second I hit him on the nose and wings. He crashed and burned east of the strip. I chased several more bandits but they evaded in the clouds. I had oil on my windscreen and canopy so came back to the strip and landed. 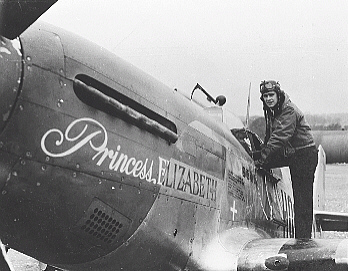 All of the e/a were very aggressive, and extremely good pilots. I am very happy that we were able to shoot down 23 with a loss of none. We were outnumbered 5 to 1 with full fuselage tanks. The P-47's on this field did a fine job, and helped us considerably. The co-operation among our fighters was extremely good and we did the job as a team. Claim: two Me109's destroyed, two FW190's destroyed. This was Captain Whisner's fourth kill of the day and Bill's last aerial victory of WWII, bringing his total to fifteen and a half confirmed air, two probably destroyed in aerial combat and three ground victories which put him in the top 20 USAAF aces of the European Theater.. By VE-Day Captain Whisner had flown 127 missions and logged 450 combat hours. His awards included the Distinguished Service Cross with Oak Leaf Cluster, Distinguished Flying Cross with two Oak Leaf Clusters, Silver Star, Air Medal with 12 Oak Leaf Clusters, The European Theatre Ribbon with four battle stars and a Distinguished Unit Ciation. 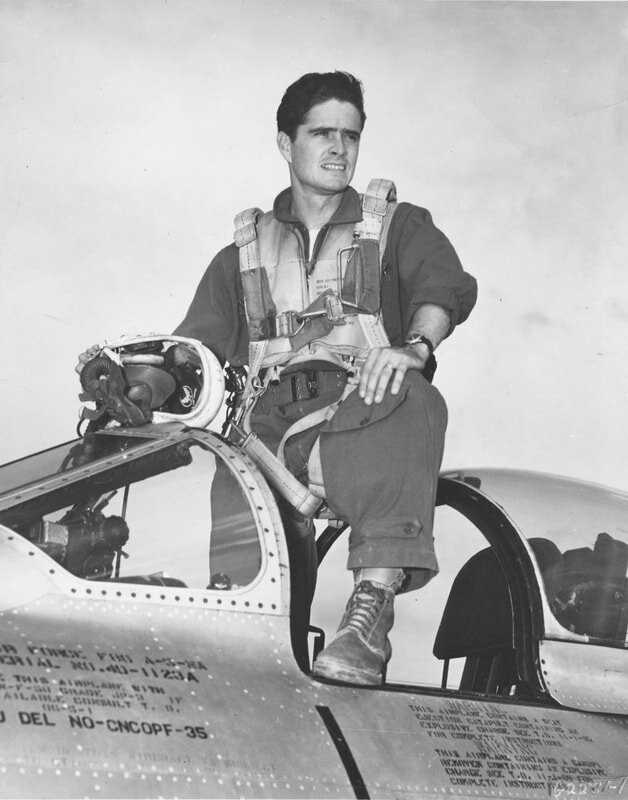 Whisner also flew F-86s in the Korean War. 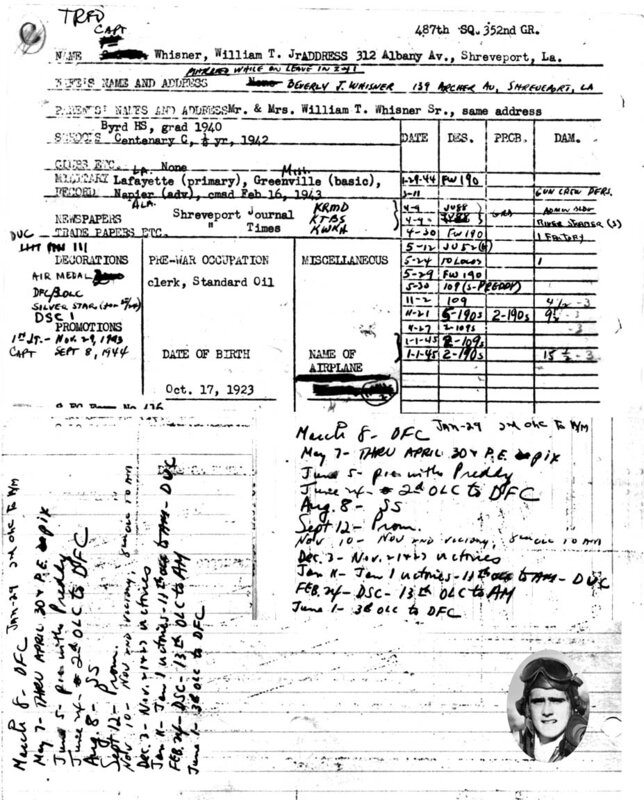 He shot down two MiG 15s and damaged four others while flying F-86As with the 4th FIW. He then transferred to the 51st FIW and shot down three more MiGs, shared in the destruction of a fourth and damaged two others making him one of only seven American fighter pilots who became aces in two wars. 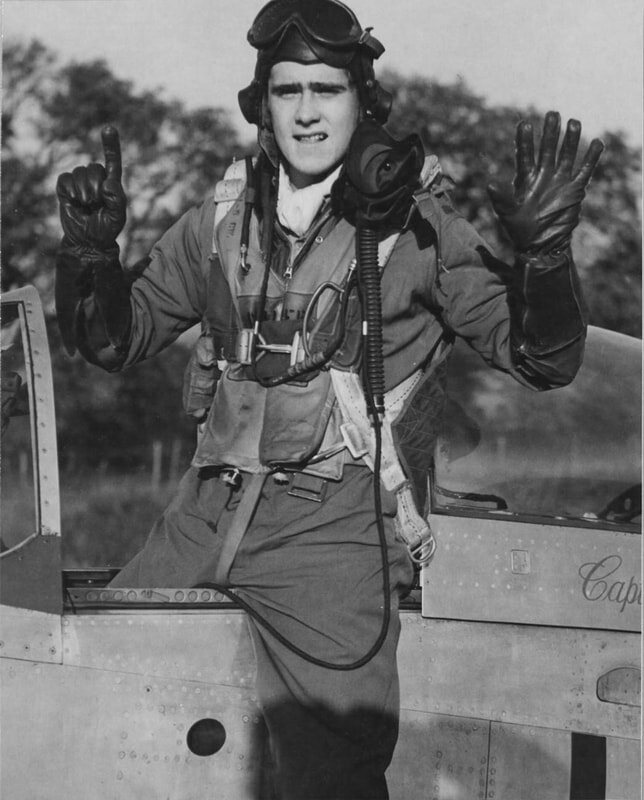 With his combined total of 21 kills, Mr. Whisner ranks as the 18th-leading ace among America's fighter pilots. 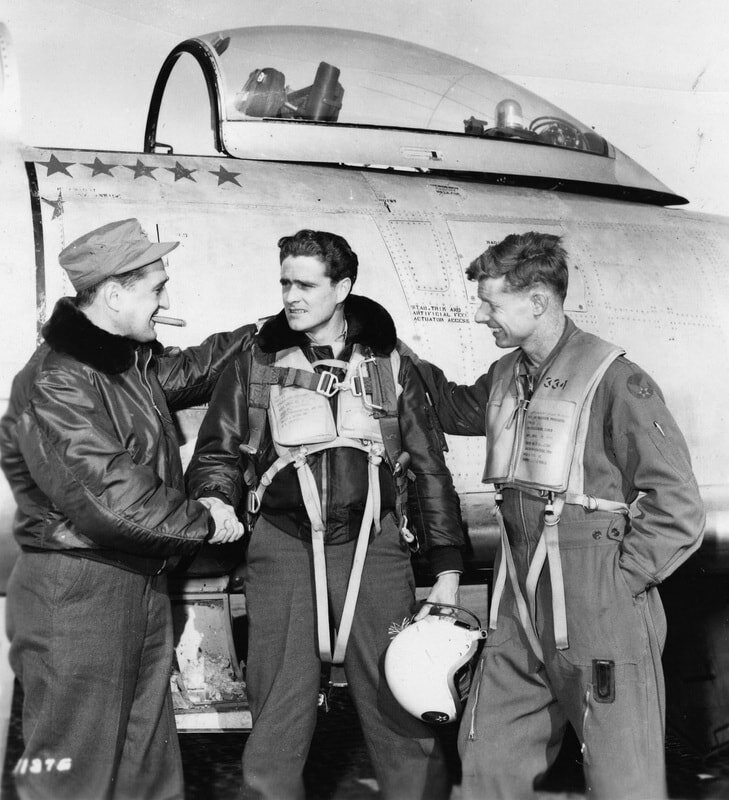 His Korean War awards include the Distinguished Service Cross, Bronze Star and the Distinguished Flying Cross and the only two-war-ace to win the DFC three times. In September 1953 set a new Bendix Trophy speed record flying from Muroc Field in California to Wright Patterson AFB in Dayton, Ohio. 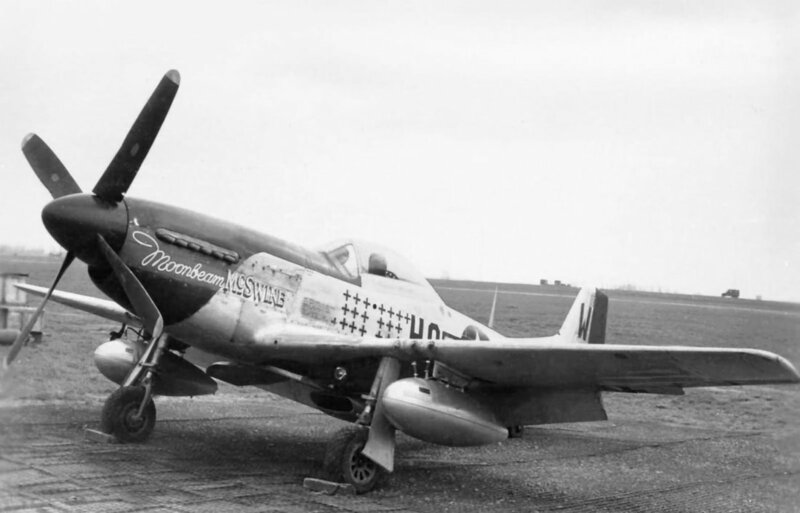 Flying an F-86F he covered the course in 03:05:25.0 at a speed of 603.55 MPH. When publicity photos were released of the event they were seen by Hollywood gossip columnist Hedda Hopper. 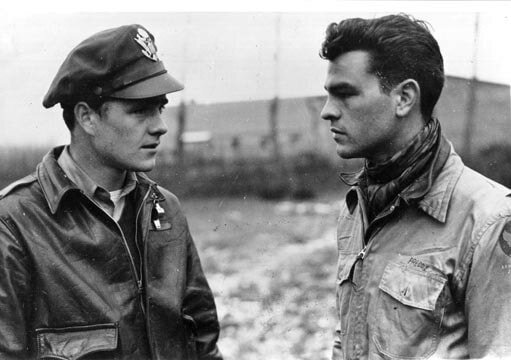 She was so taken by the dashing airman that she wrote about him in her column stating that "If I were a picture producer I would waste no time contacting Maj. William T. Whisner Jr., World War II and Korean jet ace...There's a handsome, rugged fellow who looks all man. What an asset he would be to pictures." 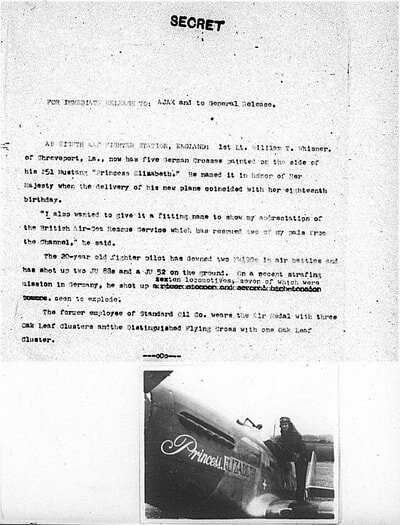 Whisner retired from the Air Force as a colonel on 31 July 1972. After retiring he returned to his native state of Louisiana with his wife. Bill died at his home in Alexandria, Louisiana on 21 July 1989, from complications following a yellow jacket sting. He was 65 years old. 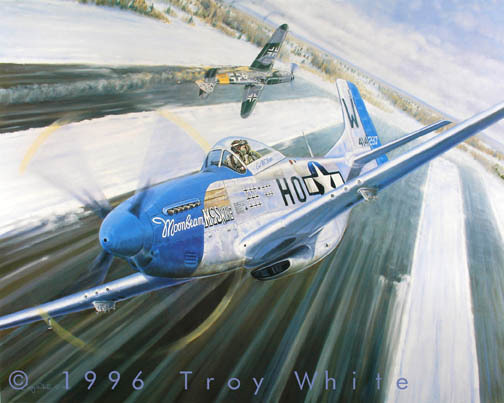 Signed & numbered Artist's Proof, edition size: 50. Prints remaining as of 5 November 2018: 5. Overall print size: 22" x 28". "Princess Elizabeth" P-51B HO-W 42-106449 was the personal mount of Lt. William T. Whisner of of the 487th FS, 352nd FG in the spring of 1944. 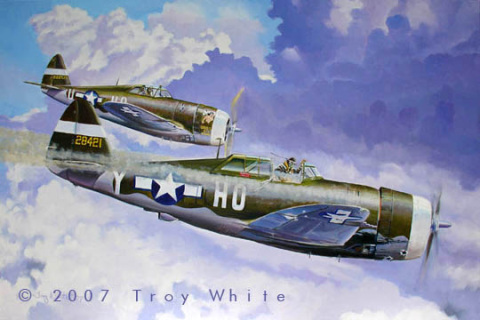 Lt. Whisner shared a victory over an Me 109 with Major George Preddy on 30 May 1944. This was Whisner's last combat of his first tour. "Princess Elizabeth" was lost with another pilot at the controls on D-Day 6 June 1944. Here is a detail from "May Daze Too"
Open Edition Canvas Giclée Print. 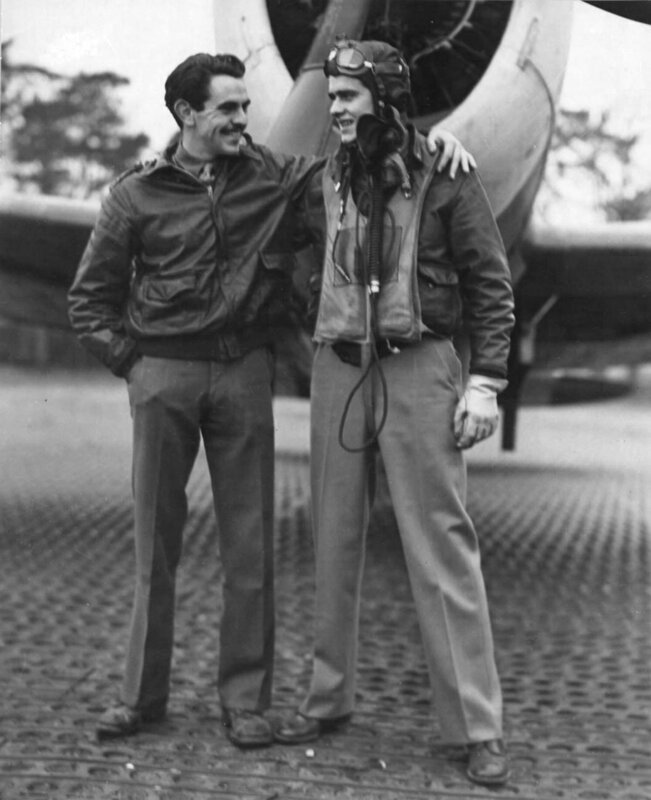 In "Bailout" Lt. Bill Whisner establishes a fix for RAF Air Sea Rescue while Captain George. 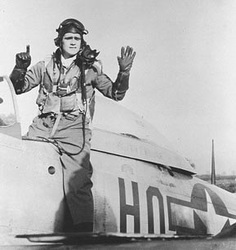 E. Preddy prepares to exit his stricken P-47 Thunderbolt over the English Channel on January 29, 1944. Years later Bill Whisner recalled the incident. "...we were withdrawing together after an encounter with FW 109s. I had joined with George and we were low on fuel. George never talked on the radio-- nor did he talk much ever. I called him on the radio and asked his intentions since we were 100 miles inside the continent. No Answer.